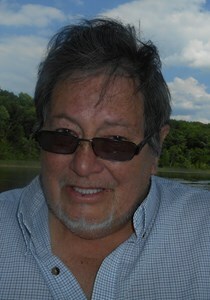 Newcomer Family Obituaries - Juan O. DeLeon 1942 - 2019 - Newcomer Cremations, Funerals & Receptions. Juan O. DeLeon, age 76, of Temperance, Michigan, passed away on Saturday, January 19, 2019 at Mercy St. Vincent's Medical Center in Toledo, Ohio. He was born on May 26, 1942 in Big Wells, Texas to Alberto and Dolores (Ortiz) DeLeon. Juan enjoyed tinkering in his garage, the hoods on the cars were always up! And while working in his garage he loved listening to Mexican music. He also enjoyed working in his yard, particularly landscaping. Juan was a member of Christ the King Lutheran Church, Lambertville, Michigan where he was involved with the Building Committee at the church. Left to cherish his memory is his loving wife of 19 years, Veronica DeLeon; sister, Amanda (Jesus) Maldonado and brother, Mario (Inez) DeLeon; step-son, Matthew (Andrea) Potter; grandchildren, Alex, Marcus, Simon, Ezekiel and Ethni; many endearing nephews and nieces. He was preceded in death by his parents and three brothers, Albert DeLeon, Guadalupe DeLeon and Ramon DeLeon. The family will gather for a Memorial Service for Juan on Wednesday, February 13, 2019 at 11:00 a.m. at Christ the King Lutheran Church, 2843 Sterns Rd., Lambertville, Michigan 48144. To leave a special message for Juan's family please click on the "Share Memories" tab above. Add your memories to the guest book of Juan DeLeon. Veronica, I am so sorry to learn of the passing of Juan. Sending prayers and hugs. God Bless! Veronica, we are so sorry to hear about your loss. We thought very highly of Juan. We will keep you and your family in our prayers. Through the different seasons of life peacewithGod.net has been a source of hope & inspiration and we thoughtfully share. Juan will be greatly missed, but he is in his new home of Heaven, not of his own doing, but by simply having trusted in Jesus, our risen Lord. He will not be forgotten in the hearts of all who knew him. peacewithGod.net has been a source of hope & inspiration and we thoughtfully share. 'And He will raise you up on eagles' wings; bear you on the breath of dawn; make you to shine like the sun, and hold you in the palm of His hand'. I am so sorry to hear of your family’s loss of Juan. Losing a loved one in death is one of the hardest things we have to face. May the God all comfort prove to be with your family during this hard time (2 Corinthians 1:3,4). We are brokenhearted and will miss our brother in law. Juan was a most loving and kind man and we loved him very much. Our deepest sympathy to Veronica and all of Juan's family members.